These regulations are only applicable for companies. Individuals are treated as end customers and thus they are a subject of 20% VAT in all cases. We can cut your product on specific width. This services is absolutely free and can be requested from "Order Notes" on the Checkout page. - Once you receive the package, you have 14 days to return it. - The reason for your return is not important. It might be a scratch, wrong color, wrong size or anything else. 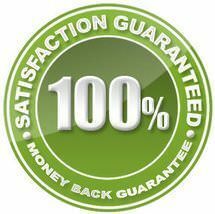 - We refund 100% of the amount you have paid for your order. - If there is a visible damage on the package when you receive it, it is important to notify the courier while he is still there. - Prior returning the goods, you have to notify SignGround about this decision. We would like you, the customer, to be happy with our services. All our materials are with the highest quality and are meticulously packed to ensure no damage. In the rare cases when there is a problem with the courier or simply the force of nature we want you to feel 100% safe about your order.